For the do it yourself mover, Mountaineer Movers can supply you with moving supplies! We carry both new and used packing materials for purchase to make your self move easier. Boxes-We carry 2 cubes, 4 cubes, 5 cubes, picture-mirror cartons, wardrobe boxes(2 1/2ft sq), china boxes, flat screen tv boxes and much more. Contact us today or drop by our location during business hours. 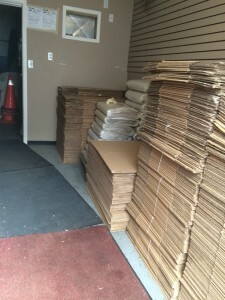 If you get all your packing materials then find doing a self move proves to be more of a challenge than you can manage, and need a moving company, our service area includes: Hamilton, Burlington, Oakville, Milton, Mississauga, Grimsby, St. Catharines, Niagara Falls, Welland, Binbrook, Ancaster, Dundas, Caledonia, Brantford, and all municipalities in the Hamilton, Halton, Niagara and Brant Region. See our service area page for a more complete list. Make Mountaineer Movers your mover of choice for local moves or as your Canada wide mover. Remember we also provide private storage in our climate controlled, secure facility in Hamilton.